Like us? Tell your friends about us. Our thanks to Rae Steinbach, from fueledcollective.com, for this contribution to our blog. Whether it’s Mark Zuckerberg or Elon Musk, much of the 2000s has been dominated by younger entrepreneurs who have changed our personal and business lives in a number of ways. From the rise of social media to the increasing popularity of remote work and coworking spaces, entrepreneurs have had a marked impact on society. But contrary to how our current youth-oriented culture may seem, one can begin to build a great company at any age. Unsurprisingly, one of the most common causes of new business failure is a lack of relevant skills and experience. Older entrepreneurs, as you’ll see, are often in a better position than ever to take a chance on the idea they’ve been dreaming about and watch it grow into a successful business. Seemingly everyone has a million-dollar idea that could change the world, but very few of us are able to navigate the business world and make it a reality. People who have spent more time working and gaining experience are generally able to hold a more realistic view of their goals, expectations, and needs. Younger entrepreneurs also face difficulties in attempting to build a business while dealing with the financial and personal responsibilities that come with being in your 20s or 30s. Starting later in life means having more time, money, and resources to devote to your business. 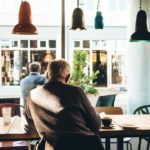 No matter how old you are, leaving an existing job for the unknown is a major risk that requires serious consideration. Half of all businesses fail within five years, so it’s crucial to be realistic and impartial when thinking about the costs and benefits of starting your own company. When you do decide to branch out, you’ll also have to judge how much of your personal money to spend on the project. Unlike those in their 20s and 30s, older entrepreneurs generally don’t have as much time to replenish savings and retirement funds if the venture doesn’t turn out the way they hoped. If your startup targets millennials or younger demographics, you may benefit from hiring some employees who can provide valuable insight into that market. Understanding how to capitalize on your strengths and find people to support your weakness is crucial to managing any business. Starting a company is a massive undertaking for anyone, and that’s especially true for older entrepreneurs. That said, the experience and knowledge that come from decades in a business environment often prove even more valuable in a startup context. These strategies will help you build your company from the ground up and put you in a position to reach your goals. Join us for interviews with thought leaders on aging and business. Join us on Tuesday March 27, 2018 at the Nikko Hotel in San Francisco California for a full morning dedicated to your life and career, featuring a team of expert guides, authors, and coaches to help you find what’s next. Think of it as a three and a half hour investment in you. Over the next 4 episodes, we’ll talk with Keynote speaker, author of the new book, “Jolt,” Mark Miller, we’ll discuss reinventing your career at midlife with John Tarnoff, of Boomer Reinvention. We’ll be speaking with Sandra Hughes, Sandra Hughes Consulting, about shifting from the BIG job to Your Own Business, and finally, we’ll hear from Rich Eisenberg, managing editor of Next Avenue about The Art of Making it in the Gig Economy. Join me today in welcoming to the What’s Next Boomer Business Summit Podcast, produced by the Business of Aging for What’s Next, Managing Editor of Next Avenue, Where Grown Ups Keep Growing, and host of the Your Next Avenue Podcast, Richard Eisenberg. Intergenerational. It’s the hot new buzzword in aging though it’s been around for years. It’s also steaming hot at a time when ageism is rampant and headlines report workplace warfare between Boomers and Millennials. To be sure, the unrest is real. Boomers lost jobs during the Great Recession and have struggled to earn again at the same rate. Millennials stayed in their parents’ homes, not earning enough to launch into an independent adult life. Throw family caregiving for loved ones into the mix and a clear pattern of interdependency begins to be clear. How did we get here? The current picture starts with increases in longevity. Since 1900 we’ve added 30 additional years of life. The United States Census Bureau estimates that the number of Americans living into their 90s will quadruple between 2010 and 2050,4 while the United Nations projects a 351% increase in the global population of adults 85+ over that same period. Unfortunately, the expectations of roles and life stages are rooted in the 1960s. Contrary to common thought, those 30 additional years aren’t simply tacked onto the end of life. Rather, they are distributed throughout the adult life stages, creating seismic shifts that our culture has yet to catch up with. 2. Find a Job 3. Get Married 4. Have Children 5. Work Hard 6. Retire. Adulthood at every stage has seen shifts. Rather than using ageist stereotypes to put one generation down to elevate another, or feeling uncomfortable for not fitting an old-school life map, we can embrace this opportunity to create an intergenerational approach that recognizes our inherent interdependencies and values every generation for their contributions. Let’s examine some areas in which the shifting maps of adulthood contribute to significant intergenerational issues. Millennials are not purchasing their own homes at the same rates of previous generations. They report the size of their student loans as the major issue in not being able to save for a down payment or qualify for a mortgage. With student-loan debt topping USD$1.4 trillion (and growing), research by Citizens Bank found that 60% of college graduates ages 35 and younger expect to be paying these loans into their 40s. Concern also transcends generational divides. Research conducted by the Federal Reserve Bank of New York shows that 2.8 million borrowers are 60 years or older, parents and grandparents of Millennial students. The dream of home ownership isn’t just an issue for younger generations. In 2016, home ownership in the US reached an historic low. While Millennials are part of the issue, surging Boomer interest in renting can’t be discounted. A 2015 study by the Joint Center for Housing Studies at Harvard University found that families and married couples ages 45–64 accounted for roughly twice the share of renter growth as households under age 35. In urban areas with highly competitive rental markets, it is younger renters who are losing to older renters with greater ability to pay, creating increased need for affordable rental housing. To manage the cost of living in their homes or high rents, Boomers increasingly choose to live with a roommate. Just like Millennials, Boomers also live with roommates for social reasons. Companies, like Silvernest.com, are emerging to help older adults find roommates and provide a range of services to ensure the success of the match. Some of these matches end up being from multiple generations. Alternatively, there is a growing trend of Boomers remaining in the larger family home and housing multiple generations under the same roof. In 2014, a record 60.6 million people, or 19% of the US population, lived with multiple generations under one roof, according to Pew Research Center. For the first time, young adults have replaced elders as the second adult generation in the household. Three-generation households—grandparents, parents and grandchildren—include more than 27 million people, while about a million people live in households with more than three generations. 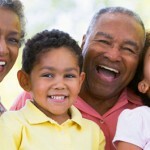 Another 3.2 million Americans live in grandparent/grandchild homes. Developers have begun to recognize the needs of these households and have created models to accommodate multiple generations. Companies have evolved to create accessory dwellings—nicknamed “granny garages”—to place on properties with existing homes to house family members. And nonprofits, like Fairhill Partners in Cleveland, Ohio, have developed apartments for grandparents raising grandchildren. The rise in multigenerational living is one reason why fewer Americans live alone now than they did in 1990. Increased longevity means more generations are now involved in providing care to older loved ones. In the US, the average age of family caregivers is trending younger at 49 years old. Caregiving has also become much more of a family affair. Generation X and the Millennial Generation are stepping into caregiving roles—47% of caregivers are 18–49 years of age. Part of this shift is due to their availability to provide care due to unemployment or underemployment. The National Alliance for Caregiving and AARP report that 20% of caregivers are over age 65. There are also 1.4 million (and this estimate is low) children ages 8–18 who take care of a parent, grandparent or other elder, according to the American Association of Caregiving Youth. These hidden caregivers miss school, have little normal social life, and no support network as they navigate caring for the adults in their lives. Cultural shifts have also led to changes in family structures and stability. Divorced and remarried at “unprecedented levels” in their younger years, Boomers have largely been responsible for the doubling of divorce rates in the 50-and-older age group since 1990. Their families are also typically smaller (fewer than two children). So what will caregiver support look like in the future? In 2010, the ratio of available caregivers to people requiring care was 7:1. This number will continue to fall, to 4:1, as America’s Boomers push over the 80-year-old threshold in 2030. Between 2030 and 2040, the 80+ population will increase 44% while the number of caregivers increases by only 10%. The ratio completely bottoms out to less than 3:1 in 2040, when the Boomers are in old, old age. (In fact, caregiver support ratios will tumble in many countries worldwide.) Additionally, the higher percentage of unmarried Boomers and Boomers without children will require new kinds of support systems not dependent on family caregivers. Technology is emerging to address some aspects of care. There is still a growing gap, however, in the number of jobs that will be created as a result of aging, and the number of people available to fill those roles. Who will work in aging? At some point in the 1980s, vocational education began to disappear from high schools, and the expectation grew that the majority of graduates would go to college. The tide is turning. But it’s not turning fast enough to create the healthcare and technology workforce required for the aging Boomers. Emerging models aim to address the need for this workforce, with a focus on bridging the generational divide. Connect The Ages is a social enterprise on a mission to connect 5 million students to careers in aging by 2025. The time is certainly right to bridge the potential of Millennials and Generation Z to the aging population. Connect The Ages has released interviews with dozens of Millennials in aging, including architects, entrepreneurs, healthcare workers, lawyers, policymakers and technologists. Complementing the interviews is a national grassroots outreach and intergenerational storytelling and mentorship campaign. Many of the Millennials who work in aging report finding the field entirely by chance. This is not a sustainable way to meet the industry’s needs. Connect the Ages wants to create an active strategy to engage more young people in the field. We are just scratching the surface of understanding the interconnectedness of the generations and the need to work together toward solving the issues ahead of us. The imperative for our organizations, and our industry, is to discover, support and create initiatives that work toward a better-connected intergenerational future that will advance the aging field with young people and benefit everyone. We’ve never needed each other more. 1. National Institute on Aging and World Health Organization. (2011). Global Health and Aging. Living Longer, pp. 6–8. NIH Publication no. 11-7737. Retrieved on June 25, 2017, from https://www.nia.nih.gov/research/publication/global-health-and-aging/living-longer. 2. Waxman, B. (2016). The Middlesence Manifesto: Igniting the Passion of Midlife. Kentfield, CA: The Middlescence Factor. 3. Data 360. Life Expectancy Studies, 2016. Available at http://www.data360.org. 4. He, W., & Muenchrath, M. N., US Census Bureau. (2011). American Community Survey Reports, ACS-17, 90+ in the United States: 2006–2008, p. 2. Washington, DC: US Government Printing Office. Retrieved on June 25, 2017, from https://www.census.gov/content/dam/Census/library/publications/2011/acs/acs-17.pdf. 5. Collinson, C. (2016). Perspectives on Retirement: Baby Boomers, Generation X, and Millennials. 17th Annual Transamerica Retirement Survey of Workers. P. 70. Los Angeles, CA: Transamerica Center for Retirement Studies. Retrieved on June 26, 2017, from https://www.transamericacenter.org/docs/default-source/retirement-survey-of-workers/tcrs2016_sr_perspectives_on_retirement_baby_boomers_genx_millennials.pdf. 6. Federal Reserve Board. (2017, June 7). Consumer Credit – G.19. Accessed June 27, 2017, from https://www.federalreserve.gov/releases/g19/current/default.htm. 7. Citizens Financial Group, Inc. (2016, April 4). Press release: Millennial College Graduates with Student Loans Now Spending Nearly One-Fifth of Their Annual Salaries on Student Loan Repayments [Millennial Graduates in Debt study]. Retrieved on June 26, 2017, from http://investor.citizensbank.com/about-us/newsroom/latest-news/2016/2016-04-07-140336028.aspx. 8. Federal Reserve Bank of New York, The Center for Microeconomic Data. (n.d.). Data Bank. 2016 Student Loan Data Update. Number of Student Loan Borrowers by Age Group. Accessed June 28, 2017, from https://www.newyorkfed.org/microeconomics/databank.html. 9. Joint Center for Housing Studies, Harvard University. (2015). The State of the Nation’s Housing 2015. Retrieved on June 26, 2017, from http://www.jchs.harvard.edu/research/publications/state-nations-housing-2015. 10.Cohn, D., & Passel, J. S. (2016). FactTank News in the Numbers. A record 60.6 million Americans live in multigenerational households. Washington, DC: Pew Research Center. Retrieved on June 27, 2017, from http://www.pewresearch.org/fact-tank/2016/08/11/a-record-60-6-million-americans-live-in-multigenerational-households. 11. National Alliance for Caregiving and AARP Public Policy Institute. (2015). Caregiving in the US 2015. Retrieved on June 27, 2017, from http://www.aarp.org/content/dam/aarp/ppi/2015/caregiving-in-the-united-states-2015-report-revised.pdf. 12. American Association of Caregiving Youth. (2015). More Facts about Caregiving Youth. Accessed on June 28, 2017, from https://www.aacy.org/index.php/more-facts-about-caregiving-youth. 13. Stepler, R. (2017). FactTank News in the Numbers. Led by Baby Boomers, divorce rates climb for America’s 50+ population. Washington, DC: Pew Research Center. Retrieved on June 28, 2017, from http://www.pewresearch.org/fact-tank/2017/03/09/led-by-baby-boomers-divorce-rates-climb-for-americas-50-population. 14. Redfoot, D., Feinberg, L., & Houser, A. (2013). The Aging of the Baby Boom and the Narrowing Care Gap: A Look at Future Declines in the Availability of Family Caregivers. INSIGHT on the Issues, 85. Washington, DC: AARP Public Policy Institute. Retrieved on June 27, 2017, from http://www.aarp.org/content/dam/aarp/research/public_policy_institute/ltc/2013/baby-boom-and-the-growing-care-gap-insight-AARP-ppi-ltc.pdf. 15. Centre for Policy on Ageing. (2014). CPA Rapid Review. The care and support of older people–an international perspective. Retrieved on June 28, 2017, from http://www.cpa.org.uk/information/reviews/CPA-Rapid-Review-The-care-and-support-of-older-people-an-international-perspective.pdf. Be productive while you're killing time...sign up here to receive smart distractions from The Business of Aging. The Grandparent Economy...our new book, order now!